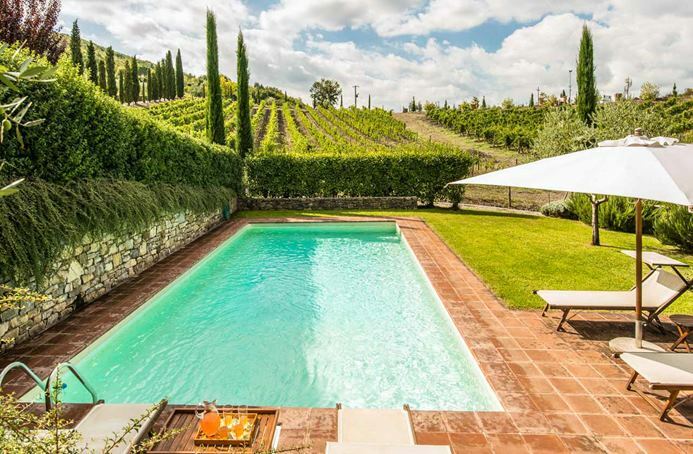 Villa SAL CMP - Beautiful views over the vineyards. 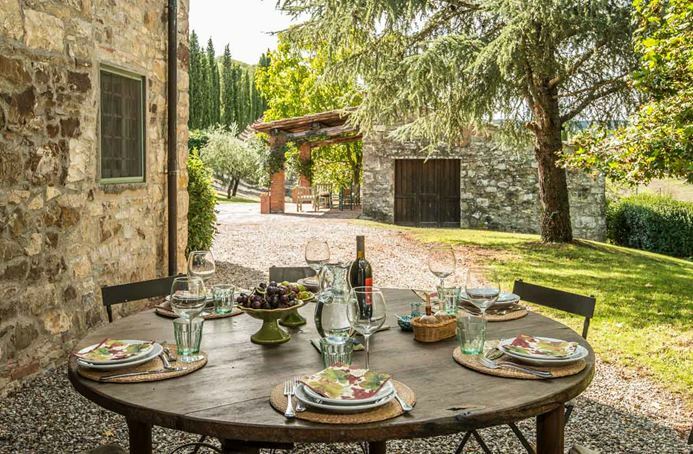 Campassole is situated at the center of a small vineyard producing Chianti wine. 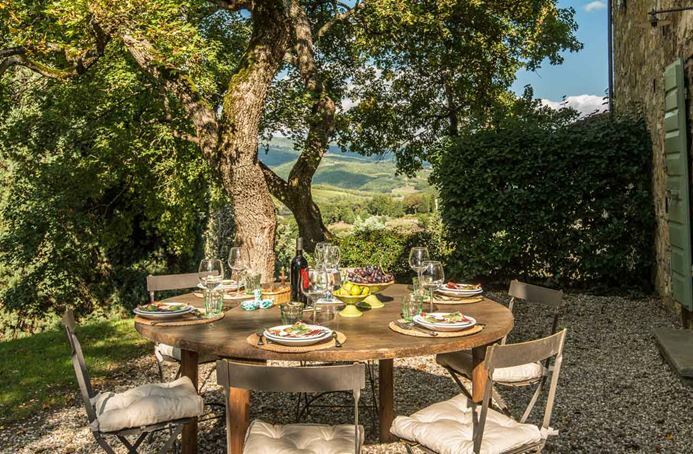 The village of Radda in Chianti is only 1 kilometer away, yet it is in a quite position w/beautiful views over the surrounding countryside and vineyards. 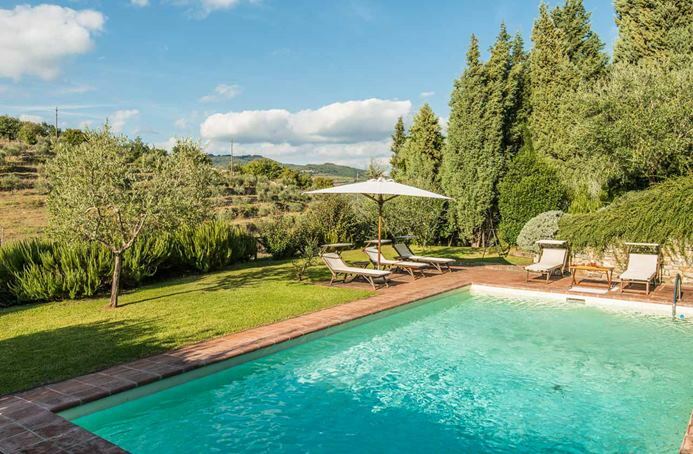 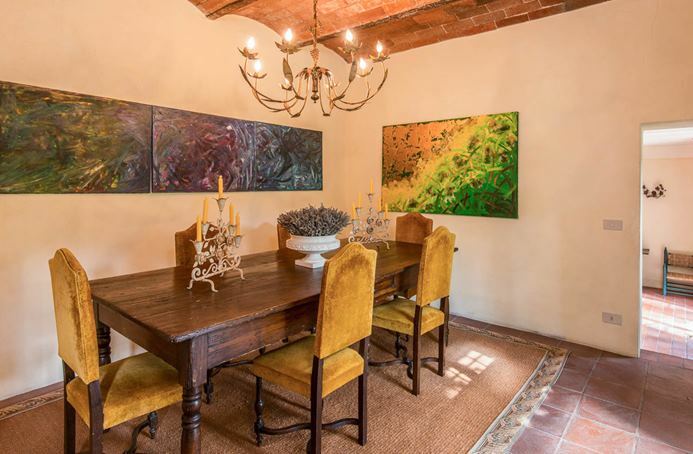 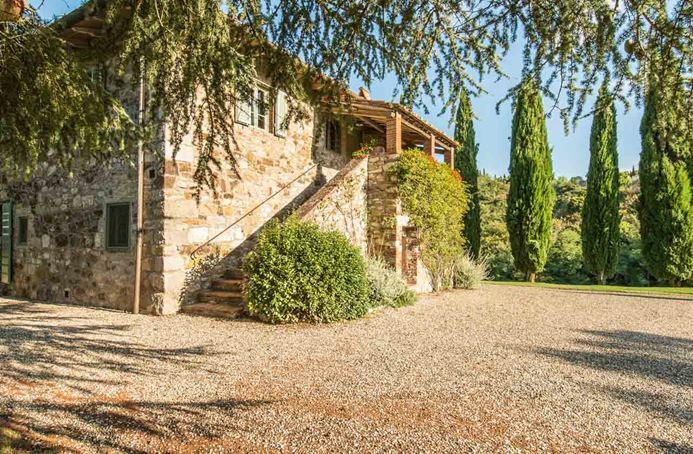 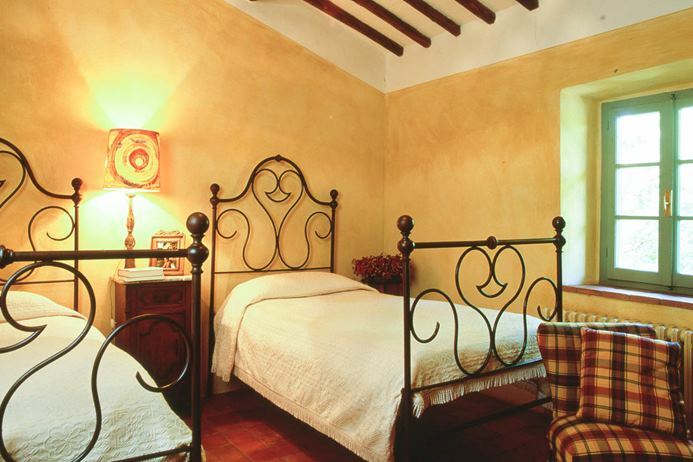 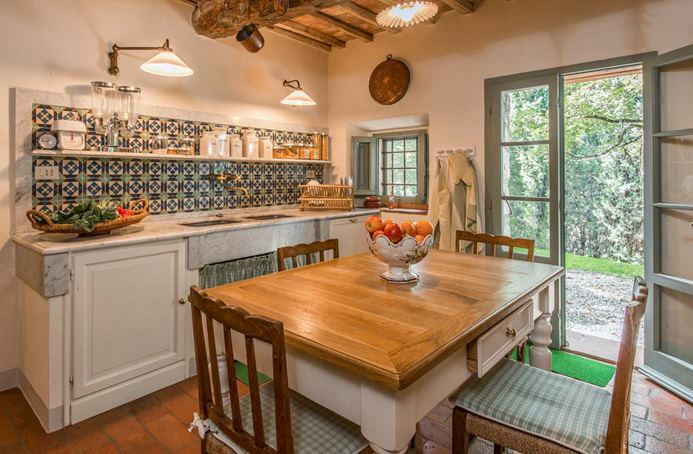 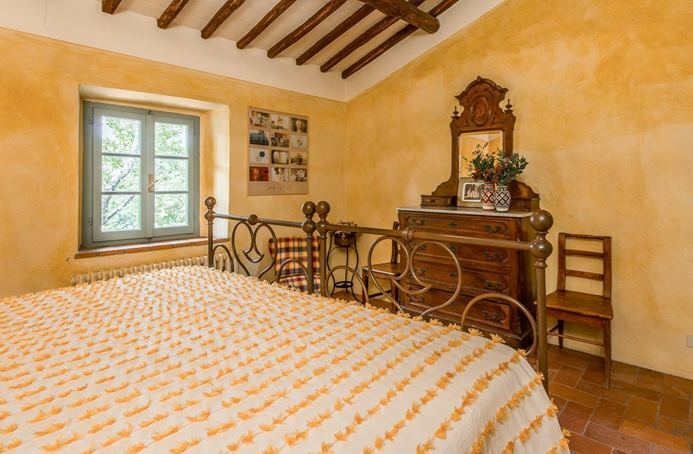 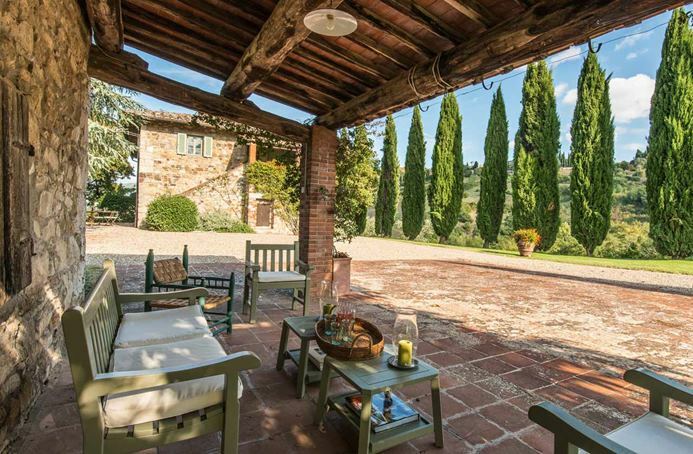 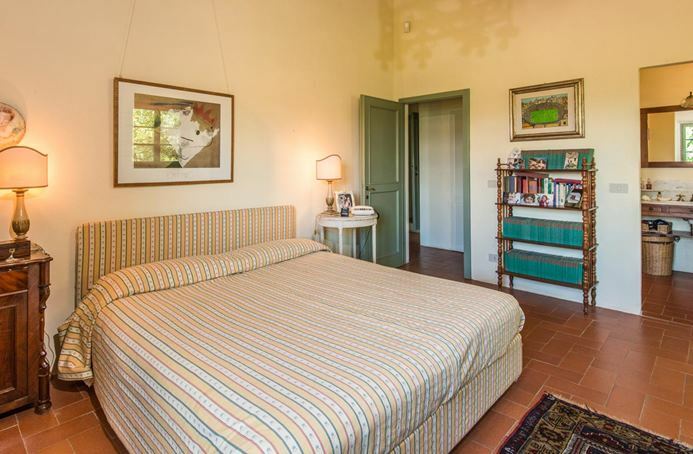 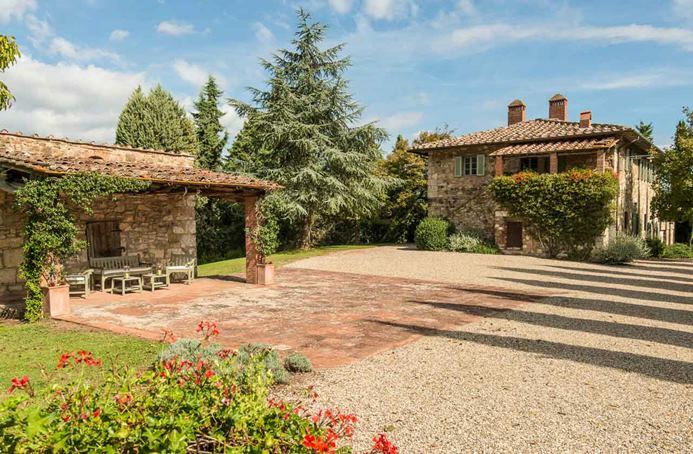 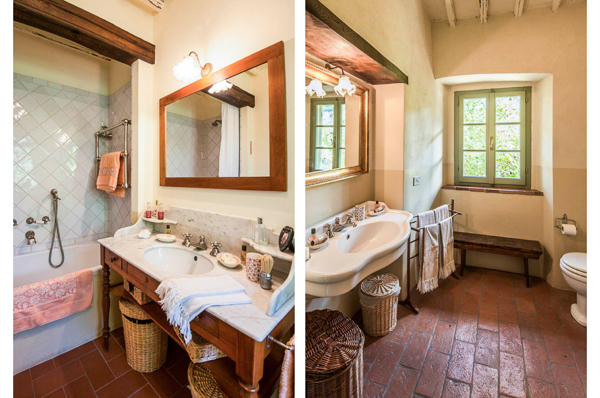 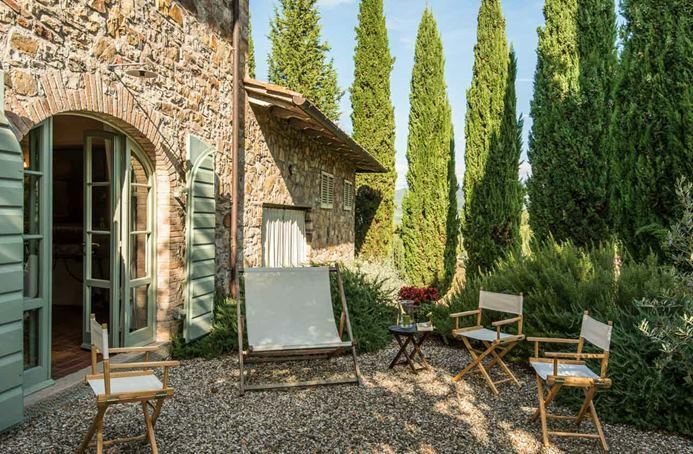 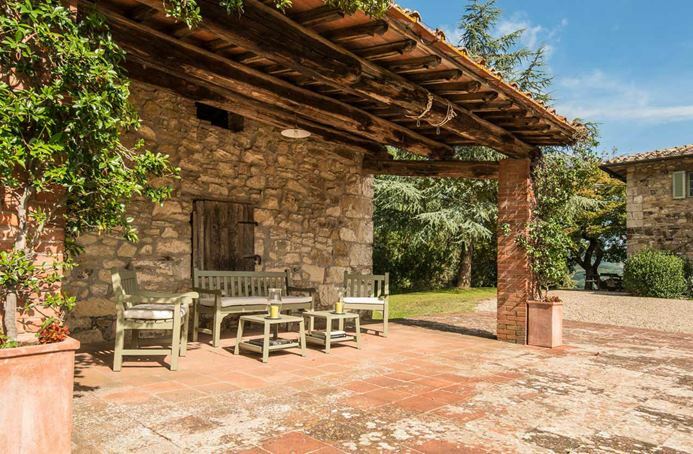 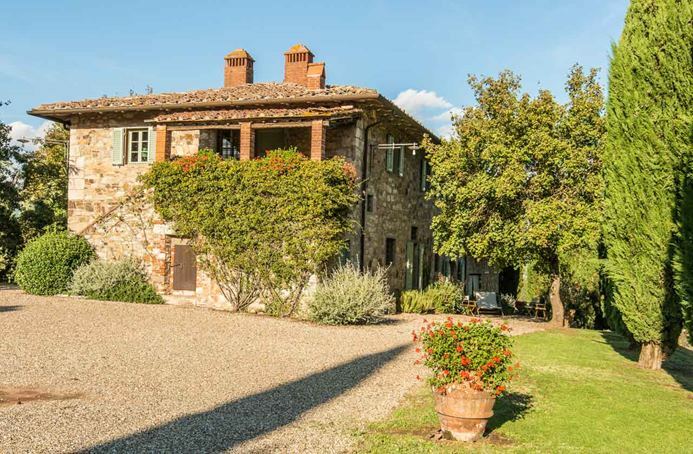 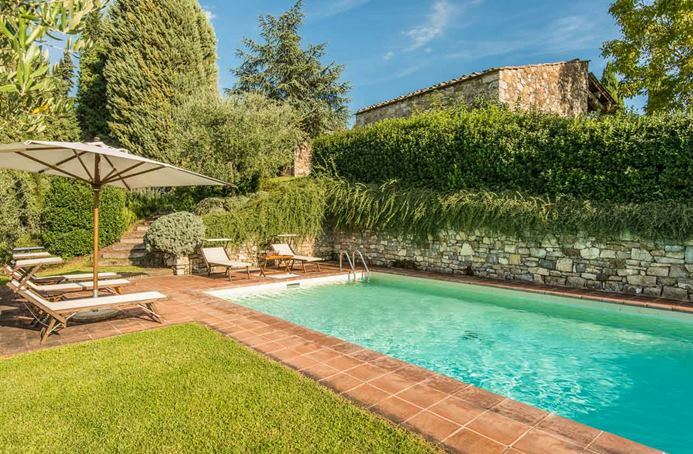 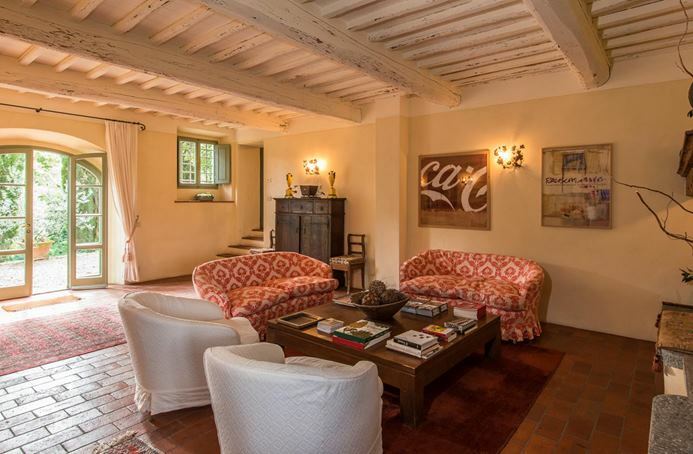 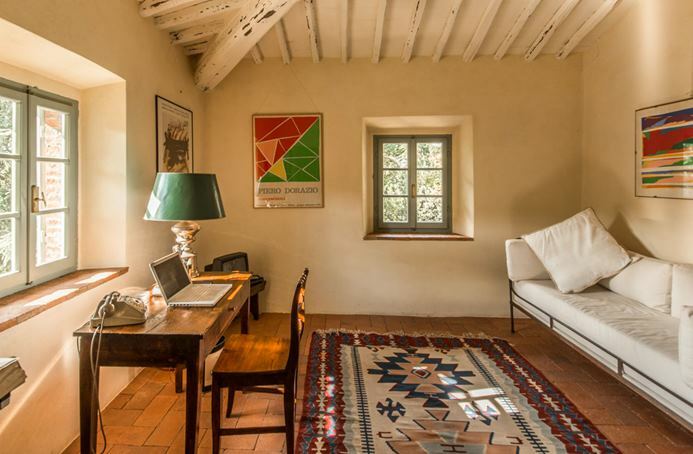 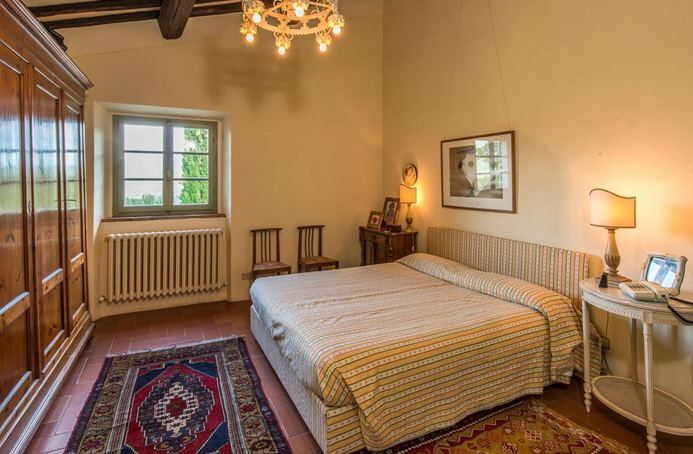 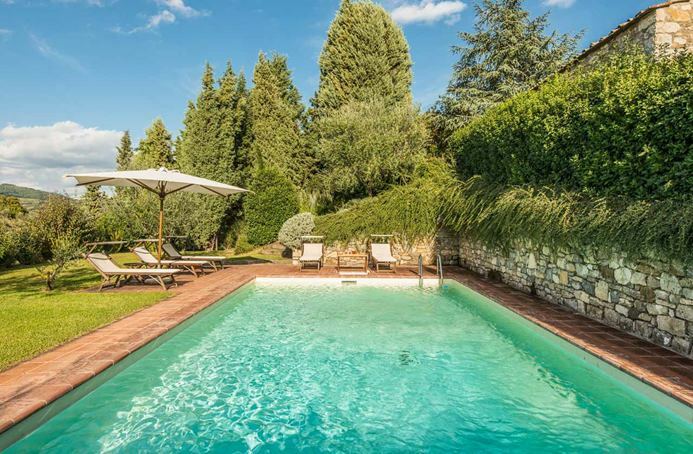 This is a wonderful location, right in the heart of Chianti Classico, and only 35 kms from Siena. 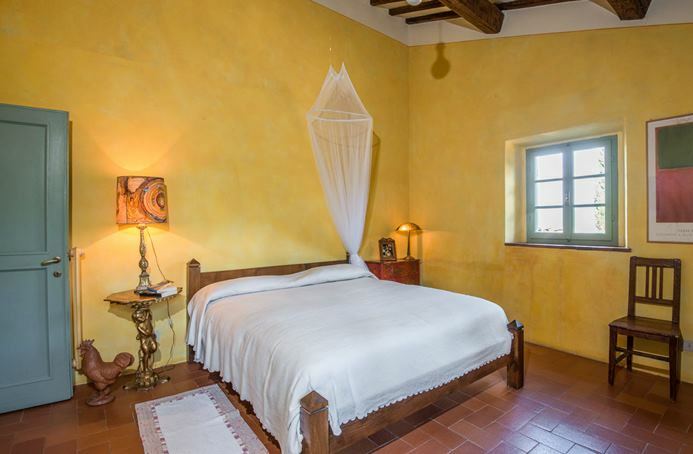 An imposing stone-built farmhouse, it has been recently restored and tastefully furnished to a very high standard. 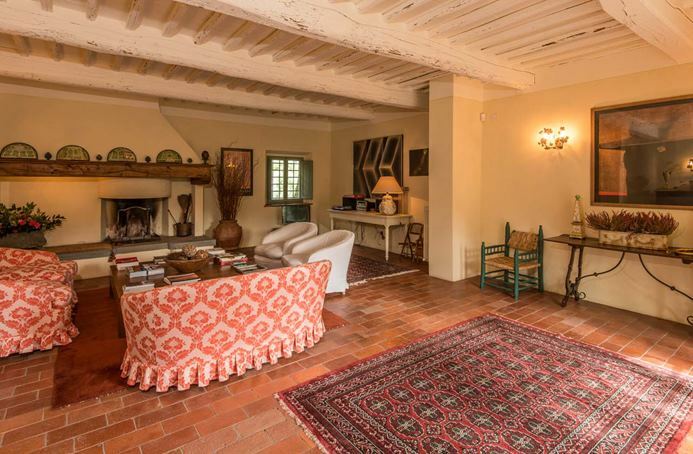 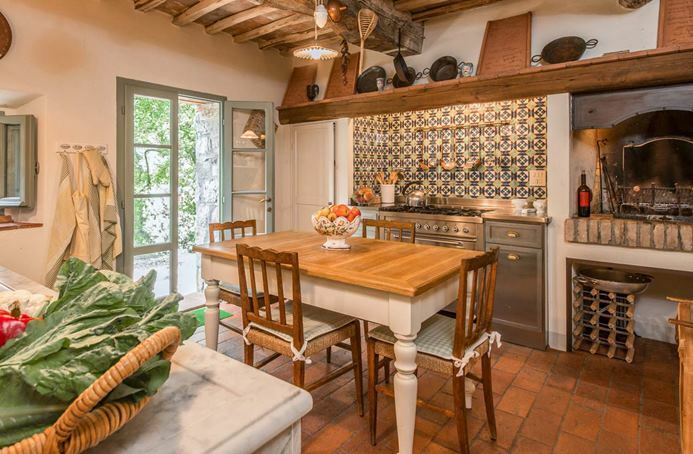 Both the large sitting room and the dining room open, via french doors, to the front garden w/ outdoor dining area. 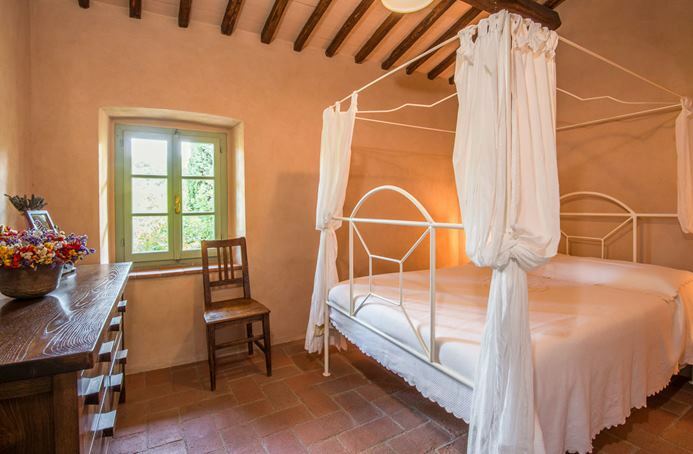 This house accommodates up to 9 people maximum.